World-building is an important element of any story and, when done well, can become a character in its own right. But how do you make sure that you’re an effective ‘God’? How can you ensure that your world, whether it’s real, alternative or imaginary, makes sense and is a good foundation for your characters and plot? And how much is enough? This course will give participants strategies, information and checklists to help you get this right. The course will run for four weeks. Lessons will be disseminated once a week in downloadable PDF format. Feedback and evaluation will be provided to participants at the end of each week through communication via the Moodle platform. It’s expected that participants will have to commit an hour each week as a minimum in order to go through the material, however, this could be more depending on the level of participation chosen by each participant. 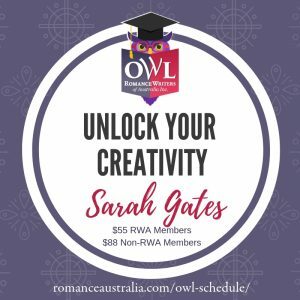 Sue-Ellen Pashley is presenting RWA OWL, Playing at being God: effective and fun world-building, in March 2019. Registrations now open. 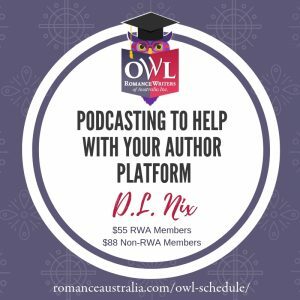 $55 for members and $88 for non-members. Click here to Book.